You don’t have to be a mega-zillionaire corporation, like Google, to have an office space that will make your employees happy. Yes, we’ve heard all about the search engine giant and its charming office stations. Who wouldn’t be happy with a swimming pool right next to their work station? While nobody disagrees that an indoor swimming would be awesome, we also know that not all businesses can afford one. Good news for you and your pockets, The Caretakers has come up with more affordable solutions. A good design is often mistaken for a vanity kick. On the contrary, the wise business owner understands its importance in promoting positive work environment and boosting production. So, it’s not a question of why? But why not? Some people are not as creative as they’d like to be. You may be one of those people, but don’t worry. You don’t need to be a full-on art savvy to envision a good, functional design for your office. 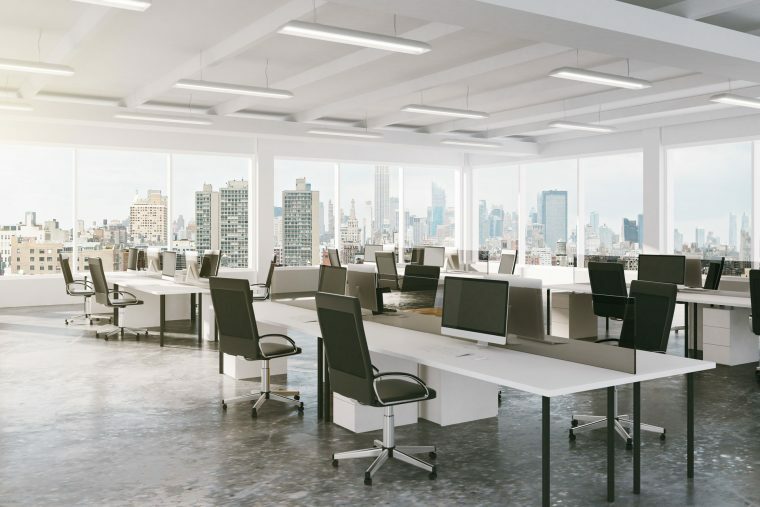 The secret, most experts say, is to come up with something that the majority of your employees wants, which just so happens to be a well-organised and well-partitioned office. By investing in quality renovations, you’ll get your money’s worth as your employees’ productivity improves. In other words, everyone is happy, so it’s a win-win. The problem with under-designed offices is that they can be a bit restrictive, which can discourage your employees to get up and move around. Experts say physical mobility can improve mental activity. Create an atmosphere where they’re free to explore the premises. Put beanbag chairs in the corners, stand-up tables or an outdoor area so they don’t feel cooped up in their station. This is actually a lot less complicated than it sounds. The goal is to make the office feel as homey as possible. Put up company pictures on the wall to foster an inspiring, family-at-work culture. Trust us, a well-designed office makes all the difference in the world. Happy employees mean productive workers. If you’re going to invest in something, then this is it. Contact us for your next renovation project and watch your business grow.